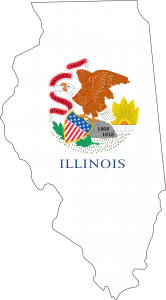 SPRINGFIELD, Ill. – A major Will County transit project is a step closer to reality as a result of legislation passed by state Rep. Al Riley, D-Olympia Fields, which will help local officials expand Weber Road and reduce traffic congestion around Interstate 55. Riley received bipartisan support on the House floor for House Bill 1191, which would help Will County acquire land needed to complete a diverging diamond interchange at Weber Road near Interstate 55. Will County has been involved in an extensive legal process to acquire land needed to complete this traffic-reduction project, but estimates that without Riley’s legislation the project could be delayed upwards of three years. “This bill ensures a speedy land acquisition process which will benefit the taxpayers and the driving public,” said Riley. “I appreciate the support from my Will County legislative colleagues, County Board members and other groups concerned with safety issues and efficient traffic flow,” Riley said. “This project will also create jobs and hopefully bolster economic development in a vibrant, growing region”.